The common man is in all sorts of confusion after the news came out that 500 and 1000 rupee notes have been banned. There was a rush at ATM centres to withdraw small denominations of money. All those who had cash are thinking twice to spend it and are saving it for the rest of the month. In such a situation, the openings for the next two releases this week will surely affect. Particularly in the single screens, this is going to affect even more. A middle-class man will think twice to use up the change what he has and will not spend it on watching a film in such a tricky situation. Even though the situation will get normal in a week, the normal audience will surely think ten times to watch a film this week. 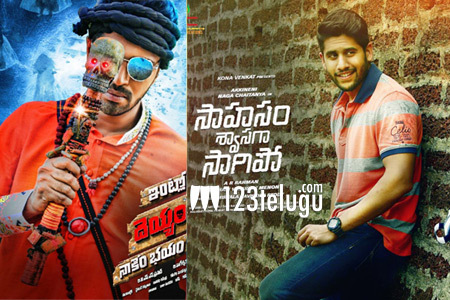 It will be really interesting to see how both the films, Sahasam Swasaga Sagipo and Intlo Dayyam Nakem Bhayyam manage at the box office.